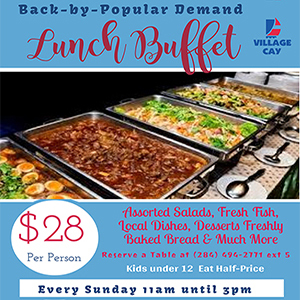 A report produced by the United Nations Children’s Fund (UNICEF) has sparked a fiery debate in the British Virgin Islands about various issues raised by the international organization, as well as the credibility of the said 2016 report entitled Situation Analysis of the British Virgin Islands. There have been mixed reactions. The 123-page report, which was tabled in the territory’s House of Assembly this month, touched on various controversial issues including discrimination against expats as well as poverty. 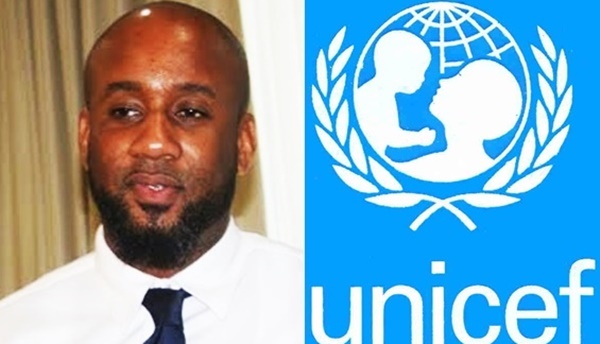 Well-known marketer and events promoter Rhondi ‘Ra’ Skelton, who was among the first to put UNICEF on blast in a Facebook post, wrote that he is “P*ssed and annoyed’ about the UNICEF report, which he said is “fake news” partly because “no real research was done”. 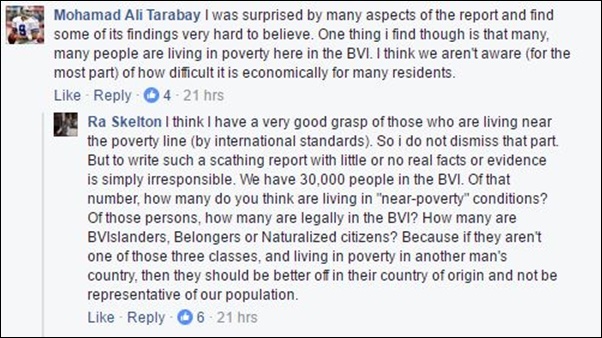 Skelton, for example, suggested that ordinary residents of the BVI should not be counted among the territory’s population when the issue of poverty is being measured. The UNICEF report called for – among several other things – children born in the territory to automatically attain citizenship and residency, for an end to the ‘abuse’ of expatriates, for the age of criminal responsibility to be increased from 10 years, and for an end to discrimination based on immigration status regarding the distribution of social services. UNICEF also said, based on interviews it conducted, it has observed – among other things – that a number of boys are perpetrating robberies to support their mothers, that many people are living ‘fake’ socio-economic status, and that adultery is ‘common and socially accepted’ in the territory. UNICEF, throughout its report, raised concern about the serious shortage or lack of crucial Government statistics to help inform its situation analysis. The international organization however cited interviews it conducted with people locally, and other researches such as the territory’s 2010 Population and Housing Census. But Skelton, as indicated in another post on Facebook, is not impressed. Among the persons liking his comment below are Government lawmaker Alvera Maduro-Caines and President of the Opposition Virgin Islands Party Dr Natalio ‘Sowande’ Wheatley. Skelton’s social media posts have attracted mixed opinions – some people supporting UNICEF and others taking the international organization to task.